until someone ELSE says they love them? Then you remember how much you love them too. This was the case for me with ELF's $1 Hypershine Lip Glosses after I read PinkLouLou's blog on Favorite ELF things. so when you twist them at the bottom, the product comes out through the top. For now- the ones I have that I enjoy the most! 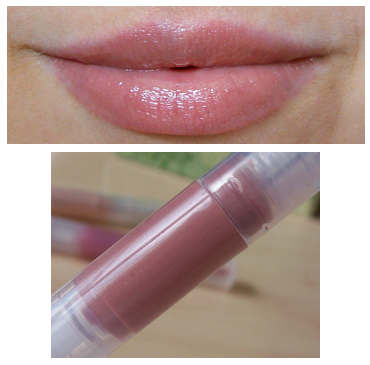 Joy is probably one of the few sheer glosses (in any brand) that I really like. It looks borderline lavender in the tube, but takes my not-super pigmented lips and makes them look like a fresh, shiny pink. 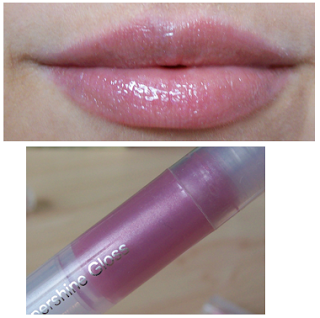 It also seems to have a little pearly shimmer like Fairy, but much more pink on the lips. A thunderstorm popped up this afternoon- 70 mph winds! Blew some of the trim off of our house in one spot. Dang it! Should be a quick fix though, and power was only out for 15 minutes, so I can't complain! You know that wreath mom & I made? It fared just fine! Cupcake flipped out and raced all over the house- ending up under our bed. Once the annoying storm passed, she was a calm, happy cat again. I picked up Coconut Water- as advised by the Tone it Up girls. This is gonna take some getting used to. I know you really like plums and pinks but the Honey is just a beautiful sheer honeyed brown with a gorgeous golden iridescence. It's not glittery at all. Sometimes I forget about certain things in my makeup collection that I love until I hear someone else talking about them as well! 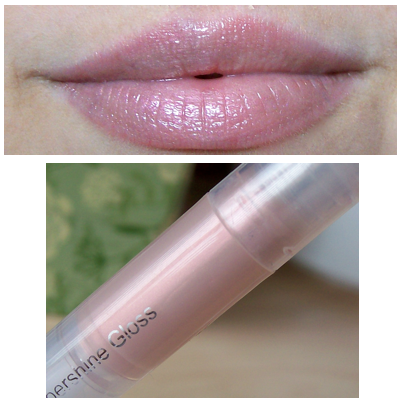 These glosses look great and are super affordable! I so want to like coconut water, but I did not like the taste. I think I need to try the flavored ones. I love thest to:) I love Flirt! Ah, coconut water, once you get used to the odd taste, can be really refreshing! Coconut water tastes disgusting. Tried it once, never again! I'll rather stick to plain water. 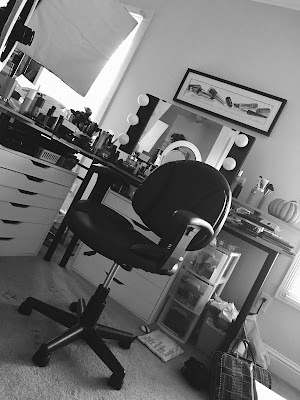 Love your suggestions you are the reason I started getting into makeup and eventually now blogging! Will definitley be checking these out on my next target trip! Elf has some great finds! I always trust your suggestions! I'll need to try some of these! I've heard so many good things about Elf products, and I still have yet to try one! I'm going to have to order some things online and see what all the fuss is about. :) The lipglosses look absolutely beautiful on you! I love these! Flirt is by far my favorite shade. we got hit with a big thunderstorm too! no power still! super cute blog too girl! $1 each?! Wow! What a steal. They are so pretty too! I have a bit of a problem and I know you have dealt with something similar so I thought i`d ask you. I have normal skin with oily T-zone, and I use a mild cleanser and oil free moisturizer daily. When I put on my foundation, I get little flaky zones around my nose, on my forehead and sometimes under my eyes. The foundation seems to make it show up worse than without it. I use a primer under my foundation but it doesn`t seem to help. I`m using L`Oriel true match foundation. I have tried using moisturizer under the primer and it didn`t help at all. I`m stumped. My email is mjstitches@gmail.com Help! 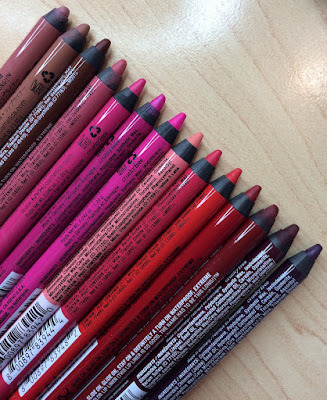 Do the Elf glosses have a flavor/scent? I'm kinda picky about that... :-P Thanks for sharing, Emily! I hadn't even heard of ELF until I sarted watching your videos (which I love) a few weeks ago. I am an hour and a half away from a target, but at these prices it may be worth the drive or the shipping. Thanks for all the great info! Coconut water is supposed to hydrate your skin and lighten blemishes. I am from Calcutta and my mother tells me to drink as well as apply coconut water on my skin like everyday. Coconut oil also lightens blemishes and is great for removing makeup. Just thought I'd share with the goddess of beauty knowledge! Have you tried the new ELF Lip Stain? I really want to try them and was considering getting them on my next purchase but was curious if you have had any experience with them yet. on confirmation of it, you will certainly have accessibility to musicallyloginonline Therefore, you could pick either of the approaches to obtain. The sector that allows every employee in handling their work descriptions LiteBlue Login customers will be able to quickly access those details by logging right.